Wedge Group Galvanizing has completed what is claimed to be a unique conversion to become the UK’s first lead-free galvanizing company. The company said it made the decision to eliminate lead from its process at all of its 14 plants across the UK 10 years ago. 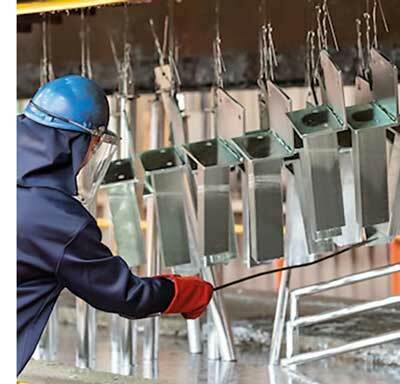 Managing Director of Wedge Group Galvanizing Chris Woolridge said: “The amount of lead used in a traditional galvanizing process is very small but we wanted to remove it from our processes completely and made a firm commitment to do that 10 years ago. Technical Services Director at Wedge Group Galvanizing David Nobes said: “The reclassification could turn into a major headache for some of our customers, who might have to meet exceptionally tight tolerances or demonstrate exacting procedures. Some might even review the use of any process that involves lead as a result.